Offering superior elegance and luxury, Hotel Tyche Stays is ideal for vacationers coming to explore Trivandrum. Located amidst natural surroundings, guests get the most beautiful sights from their room and balcony. 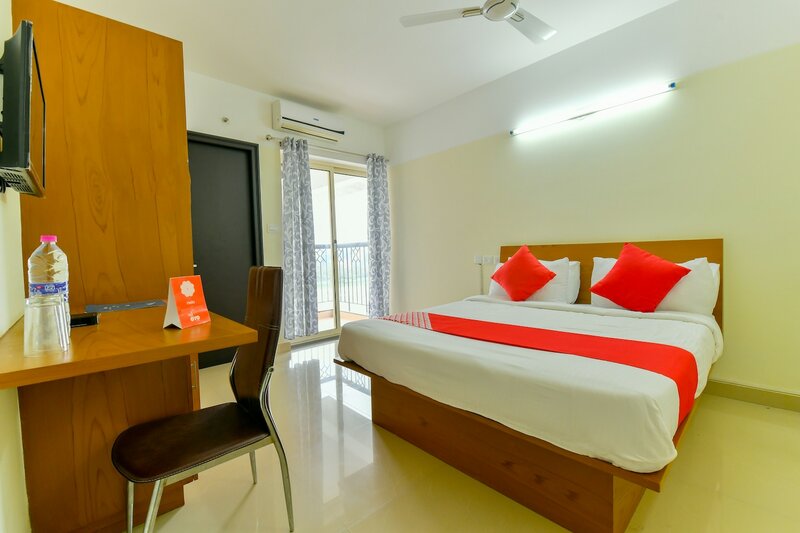 The rooms are spacious and bright with modern furnishing and amenities catered for a pleasant stay. The property offers the best amenities required for a wonderful stay. Free WiFi is available to keep you connected with the world. Parking and power back up facilities are also available.Easily accessible from Kochuveli Station, visitors will have no hassle in locating it. Veli Beach, Aakulam Lake and the Vikram Sarabhai Space Centre are close to the property.